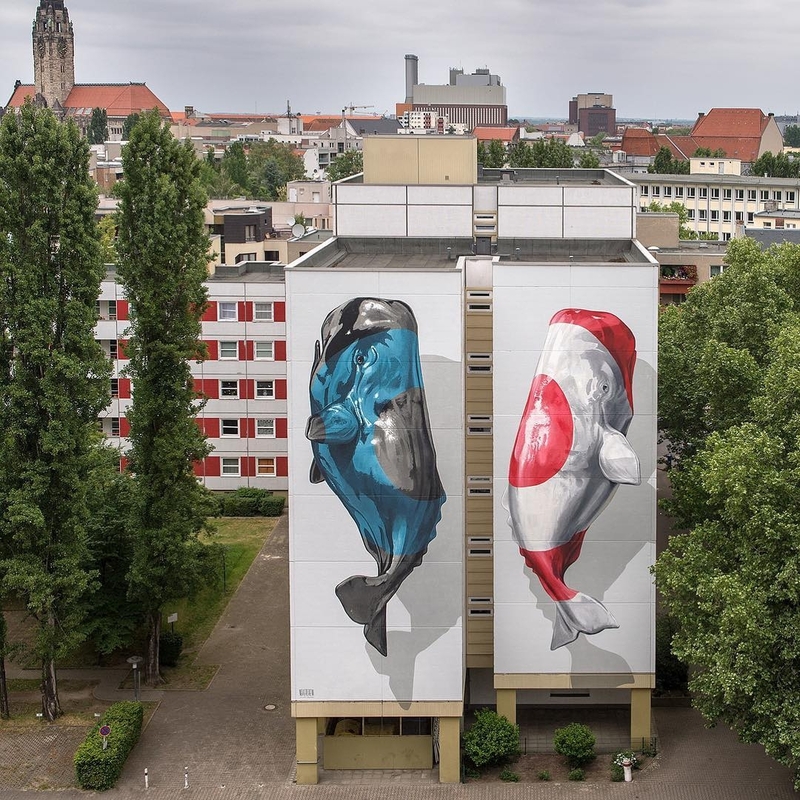 Berlin, Germany: new piece by Swiss artists Christian Rebecchi and Pablo Togni aka Nevercrew for Urban Nation Berlin. 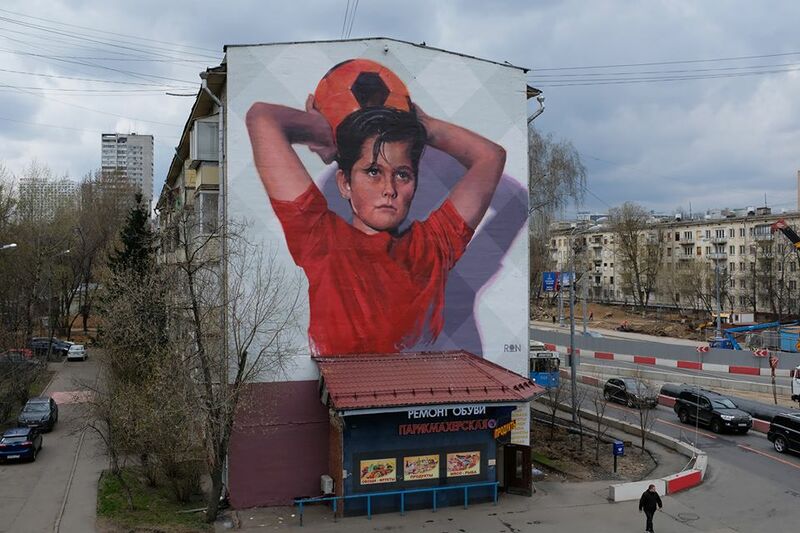 Moscow, Russia: new piece by Argentinian artist Martín Ron aka Ron. 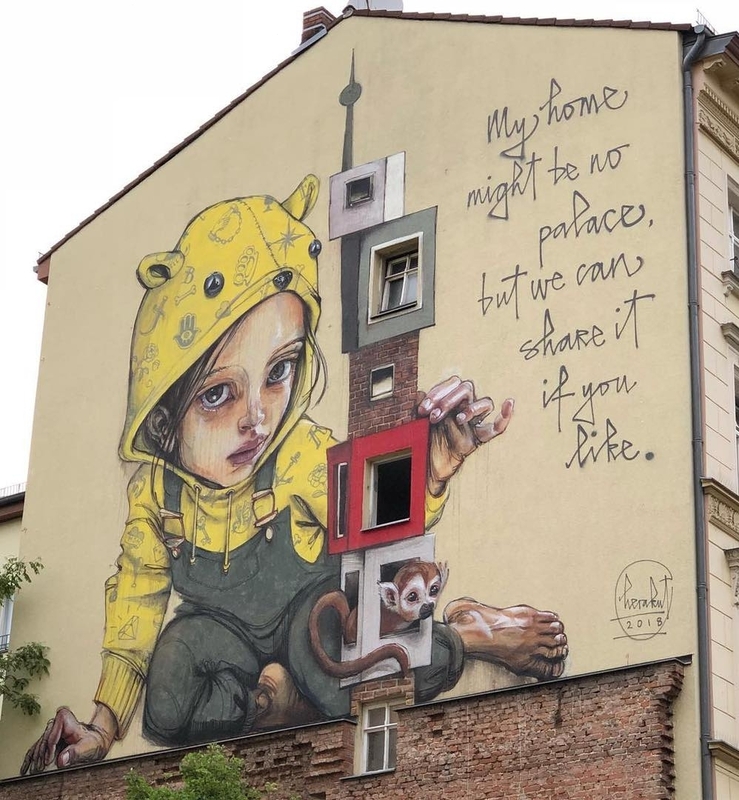 Berlin, Germany: new piece by German duo Herakut for Berlin Mural Fest. Sono queste le balene? Belle.